On January 8, Zhao Wei, known as Koala on the Internet, was formally arrested, which ended her criminal detention, which began on July 10, 2015. Zhao used to work for Beijing Gao Bo Long Hua Law Firm as a paralegal assistant. Given Zhao is a young woman born in the 1990s, her arrest caused great public concerns. However, this type of case is all too common ever since July 9, 2015, when massive crackdown on human rights lawyers and activists started. This massive crackdown has so far resulted in more than 300 people disappearing and being arrested, detained, beaten up, harassed and put under surveillance. Among them are famous activists Zhou Shifeng, Wang Quanzhang, Li Heping, Wang Yu, Bao Longjun and Hu Shigen. Fifteen people have been officially arrested. Prior to the large-scale human rights crackdown on July 9th, the Chinese government had always been relentless in suppressing dissidents. For instance, Xu Zhiyong, Ding Jiaxi, Zhao Changqing, Li Huaping were arrested and convicted for their involvement in the New Citizens Movement. Gao Yu, Pu Zhiqiang, Guo Feixiong, Tang Jingling and others were also arrested. While pre-July 9th crackdowns on human rights lawyers and activists had been relatively restrained, the post-July 9th repression of human rights lawyers has been unprecedented. This is the darkest moment for Chinese human rights in years. Firstly, a large number of lawyers fighting for their clients' legal rights have been affected. They mainly operated within the framework of Chinese law, rather than being directly engaged in political dissent. According to incomplete statistics, more than three hundred people have been subjected to various forms of persecution, most of whom are active human rights lawyers. More people may have chosen to remain silent after being threatened, resulting in their names going uncounted. The newest round of persecution started as Beijing's Feng Rui Law Firm and Gao Bo Long hua Law Firm were investigated, and all kinds of human rights activists have been subjected to various kinds of persecution. Secondly, the lawyers who were arrested on July 9th have been persecuted more brutally than before, with almost everyone arrested having disappeared for a long time. The Chinese authorities refuse to provide basic information to the victims' family members by claiming that such information is related to "national security." Nobody knows where they are detained. No one has seen them. Family members and lawyers have painstakingly tried to find the whereabouts of the missing people, but they have failed. When Ge Ping (Gou Hong Guo)'s wife learned that her husband had been officially arrested for "suspicion of subverting state power," she said to those who tried to comfort her, "It's a relief for me. It is good news, at least I know he is still alive." 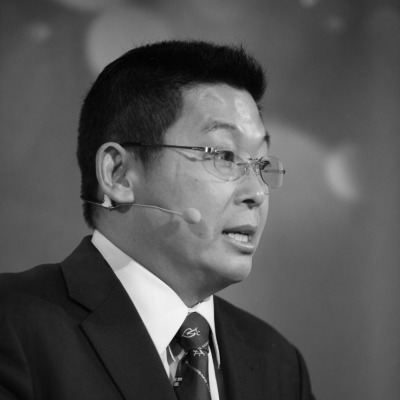 So far, the whereabouts of famous Chinese dissidents Qin Yongmin and his wife are still unaccounted for. Thirdly, in the previous human rights cases, those arrested were likely to be charged with "suspicion of inciting subversion of state power." This time, however, many human rights lawyers and activists are charged with "suspicion of subverting state power." Although these charges are arbitrarily placed by the Chinese government, the charge of "subversion of state power" means longer prison terms, because "the ringleaders who commit major crimes should be sentenced to life imprisonment or imprisonment for more than a decade." On January 18, Zhang Haitao, who had been arrested last June on a relatively minor charge of "inciting subversion of state power," was sentenced to nineteen years of imprisonment on a non-public trial. One can simply imagine what brutal persecution the activists arrested on July 9th will face. I would also like to ask people to pay attention to two issues. One is that in the more recent arrests, there have been more violent assaults on victims and more family members implicated. The other is that among these arrested was Swedish human rights activist Peter Jesper Dahlin. China's official Xinhua News Agency declared him guilty him without trial by claiming that together with Wang Quanzhang and Xin Qingxian, he had been engaged in activities that endanger China's national security. Recently, the lawyers who disappeared on July 9th were officially arrested, which indicates that the Chinese government is preparing for their trials. The Chinese regime is obviously well prepared, with the intention of completely eliminating China's backbone dedicating to promoting rule of law in China. The Chinese regime is now unscrupulous in doing whatever they want to do. This is not simply opposition between rule of law and rule of man, but the overall systemic clearance and a political choice. At the darkest moment for human rights situation in China, I would like to call on the international community to take action and send a clear and serious message to the Chinese government. We should demand that the Chinese government stop this new round of intensified persecution of human rights activists. Otherwise, political setbacks will be inevitable in China, and the strong increasing ideological opposition between Chinese Communist Party and Western democracies may eventually build up to a political and even a military confrontation.